Students represent all 50 states and the District of Columbia, along with 48 countries. About 19 percent of students have a military affiliation. Overall graduate enrollment grew by 4.6 percent to a record 1,906 students, also driven by strong persistence. The graduate enrollment in the Helen and Arthur E. Johnson Beth-El College of Nursing and Health Sciences increased by 13.1 percent, or 36 students, from the previous fall with a total of 311 students enrolled. Undergraduate enrollment increased by 0.8 percent. The College of Education represented the largest percentage increase at 11.2 percent. Since 2006, enrollment at UCCS has grown by 66 percent. 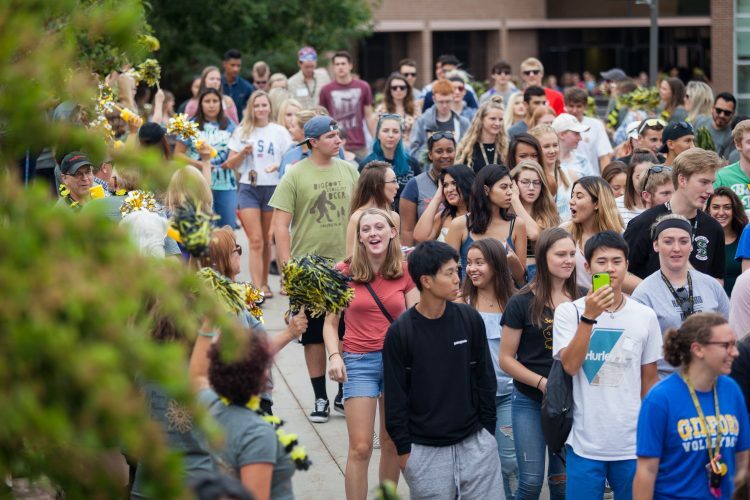 The CU system reported an enrollment of 66,728 students, a 2 percent rise from a year ago, with growth on each of the four campuses.